Home Doctrine What Happened at the Last Supper? 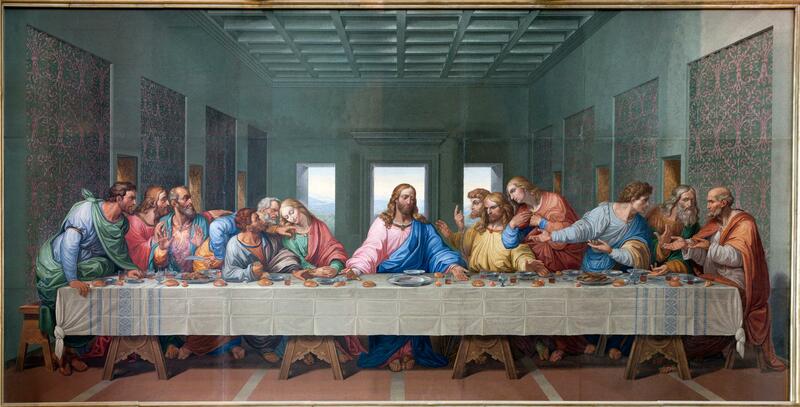 What comes to mind when you think about the Last Supper? Perhaps you envision the famous Leonardo da Vinci painting which captures the moment Jesus revealed there was a traitor in their midst. Maybe you focus on Jesus helping his apostles to prepare for the trauma of his coming crucifixion. Perhaps you dwell on Jesus washing his follower’s feet, or maybe it comes down to the simple ritual he asked them to keep in remembrance of him. The fact is, the events of those few hours give us a profoundly deep glimpse into the heart and mind of Jesus and his overwhelming loyalty to those who followed him. As we find with any biblical account, there are details buried within the story telling of the four Gospels that make these events come alive on a level a quick reading would overlook. The first details that seem to be easily overlooked are in relation to the location of the Last Supper. The account tells us that Jesus instructed his disciples to go find a man carrying water and follow him to the house he enters. There they would be welcomed to gather in an available upper room. Did you ever stop to think how this happened? The bottom line is, there was likely no strange miracle, but rather the foresight and prearrangement of Jesus himself. The point? Jesus knew by Scripture that his time had come and set up his last meal and time of fellowship ahead of time. This shows us how much he cared for those who were with him. The resounding theme of the entire Last Supper evening was Jesus’ thoughtful, heartfelt and wise care for his followers. Here he was facing a night of unfair accusations, scourging and mocking, and his most pressing thoughts and actions were focused on others. We all know about the tender and humble lesson Jesus taught by washing his followers' feet, but do we all know and remember that Judas, his betrayer, was there and had his feet washed also? Stop and think a moment about the kind of character and heart one would need to possess to be able to genuinely wash the feet of the person bent on betraying you. Another profound aspect of that fateful evening was how Jesus painstakingly prepared his followers for the coming betrayal. Until you combine all four of the Gospel accounts of this evening into one narrative, it is impossible to appreciate the meticulous care Jesus gives to revealing the betrayer’s identity to his faithful followers. Further, the four combined Gospels give us insight into how Jesus gave Judas every opportunity to see the rewards of faithfulness and the folly of betrayal. 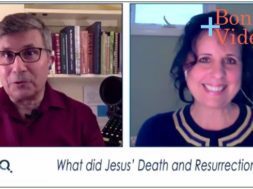 Check out our April 15, 2019 podcast, “What Happened at the Last Supper?” for more. The story comes alive as we walk through the details of not only what happened, but HOW it all happened as well. Following the thinking and actions of Jesus with his disciples on that night brings a new level of appreciation for our Master’s character and sacrifice. What could be better than that? 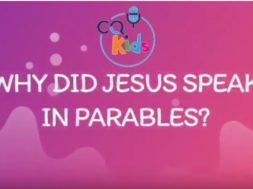 previous VIDEO: CQ Kids - Why Did Jesus Have to Die? next What Can We Learn From Jesus' Final Prayers?